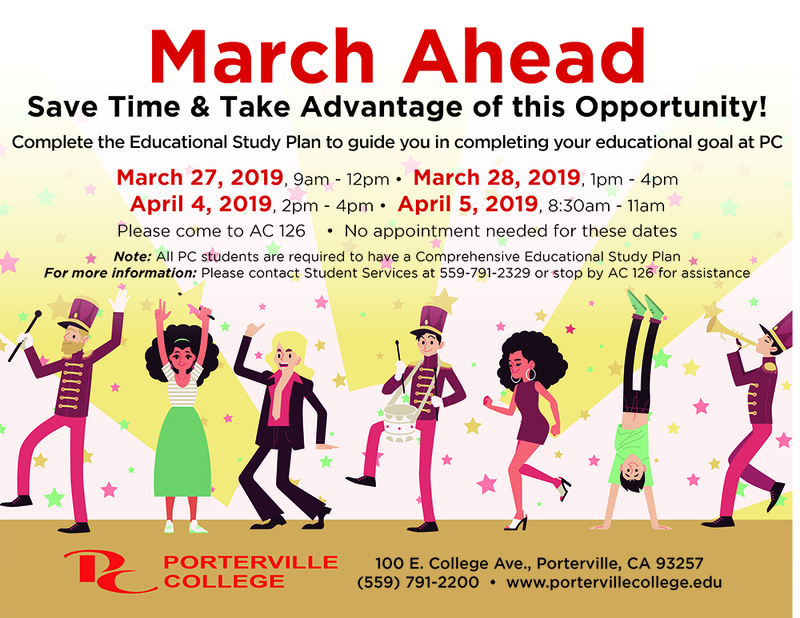 All PC Students are required to have a Comprehensive Educational Study Plan. No appointment is needed during these dates and times. Meet with a counselor to complete your Plan as soon as possible! **Students who complete education plans are more likely to graduate or transfer sooner than students who do not complete an education plan. ** If you have any questions, please call 559-791-2329 or stop by AC-126 for assistance!